Welcome to our slice of paradise, the waters of Charlotte Harbor and the Gulf of Mexico. We invite you to explore our beautiful estuary on a trip with our knowledgeable crew. We specialize in a variety of boat activities that include action-packed fishing charters, romantic sunset cruises, picturesque river tours, off-the-beaten path island trips to Cabbage Key, Cayo Costa, and Boca Grande, private events, and more. Read about our Top 10 ‘On the Water’ Experiences! We offer a variety of regularly scheduled sightseeing cruises in Charlotte Harbor and the Peace River. 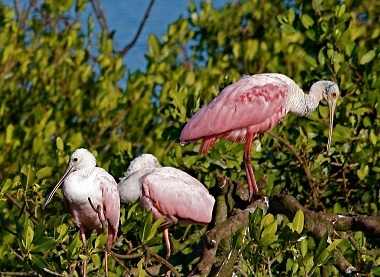 In Charlotte Harbor, there are nearly 300 species of fish, 100 species of birds, sea turtles, alligators, manatees and the most popular animal of them all, dolphins! Gulf waters are home to more than a hundred species of saltwater fish including grouper, snapper, shark, barracuda, kingfish, mackerel and tarpon. 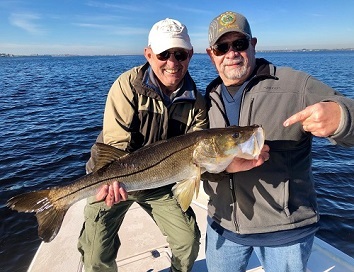 Our back bay guides fish in the famous Charlotte Harbor Aquatic Preserve for snook, redfish, trout, snapper, cobia, and much more.